My garden is always full of surprises from year to year. Sometimes it's a plant that thrives particularly well. Other times it's the disappointment of a plant that fails. 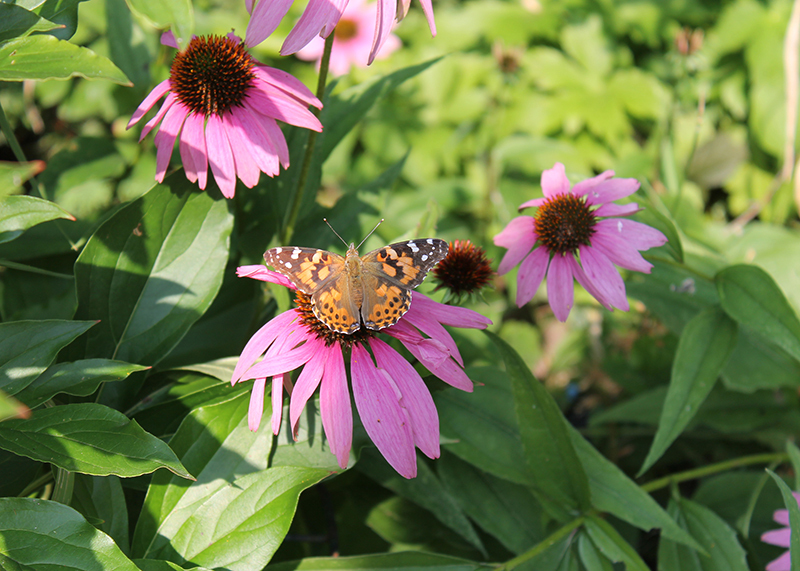 And occasionally it's a magical occurrence like the visits by dozens and dozens of painted lady butterflies the past several weeks. We had an unusually mild September and early October in the Montreal region. 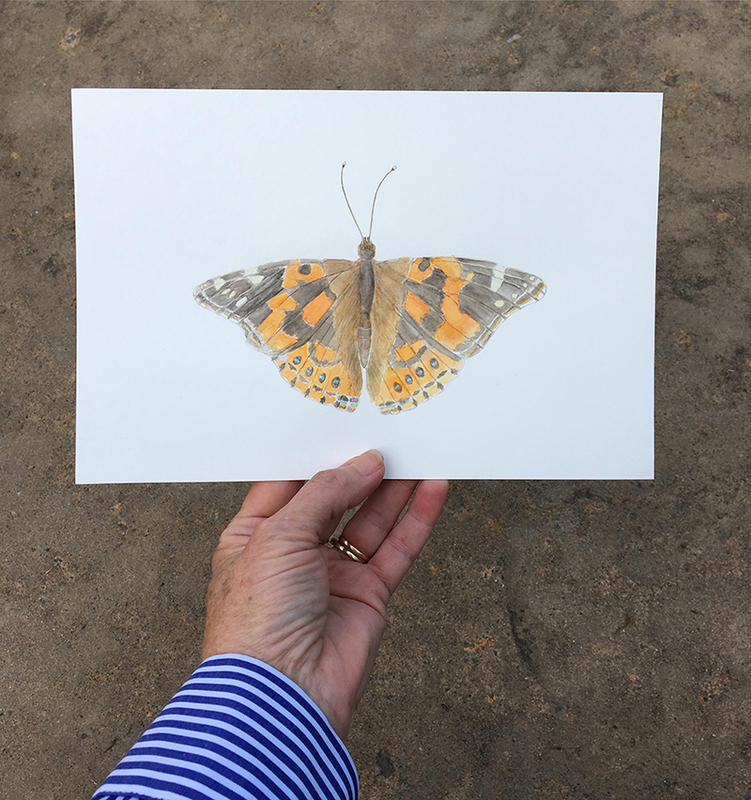 Apparently those warm temperatures enticed painted lady butterflies (Vanessa cardui) on their migratory path to descend and stay a while. It was written about in a local newspaper. 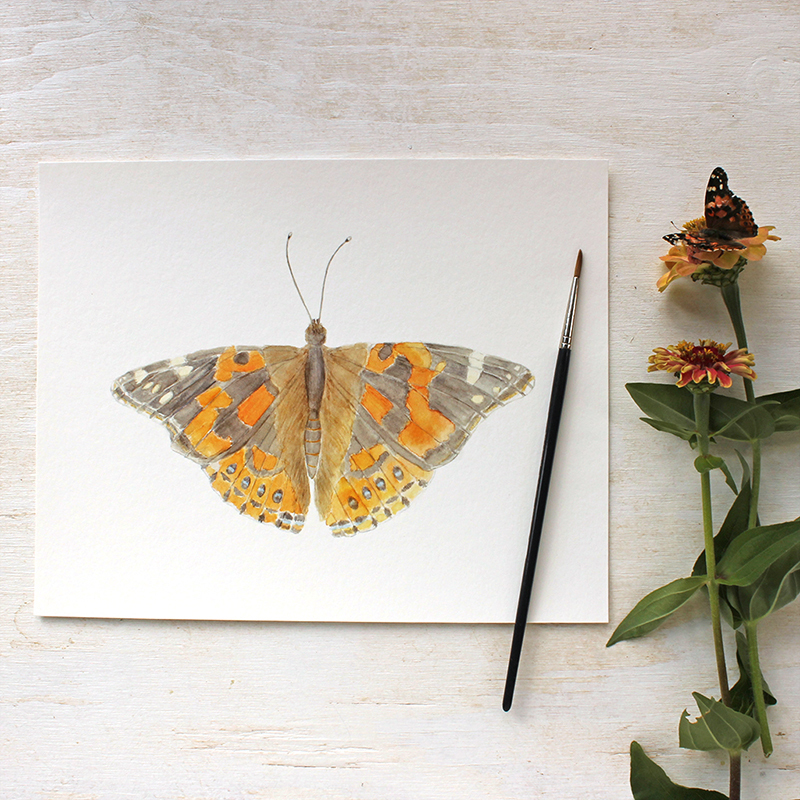 When I would go out the back door into the garden, there would momentarily be a small cloud of butterflies in the air as they left the flowers they were on and then went to others. I wish I had been able to capture an image of their numbers! 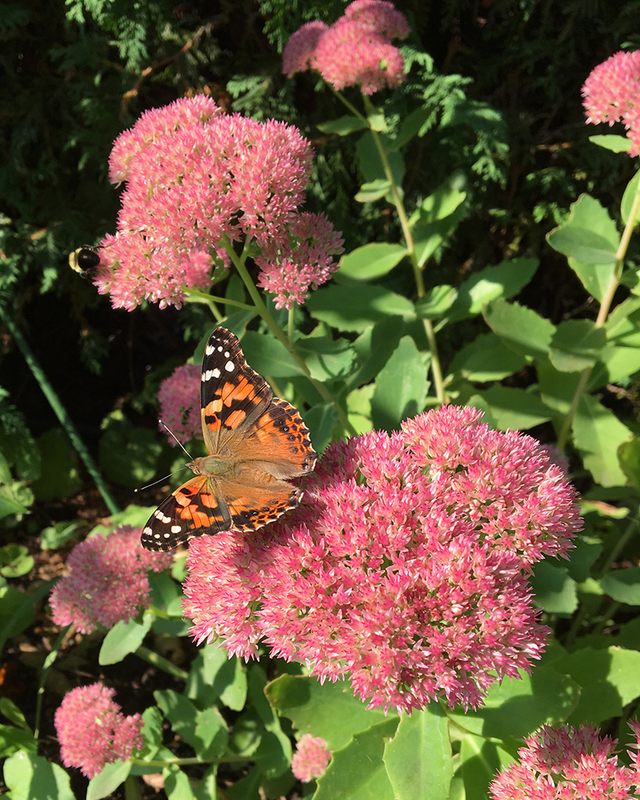 I first noticed them on my sedum spectabile plants. Then I found them on my echinacea. They really liked my zinnias. 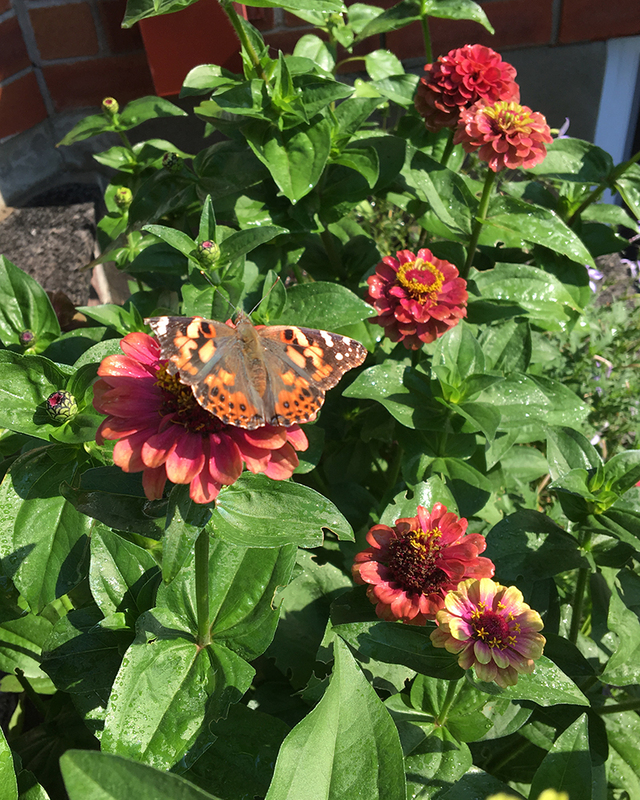 They really, REALLY liked my zinnias! 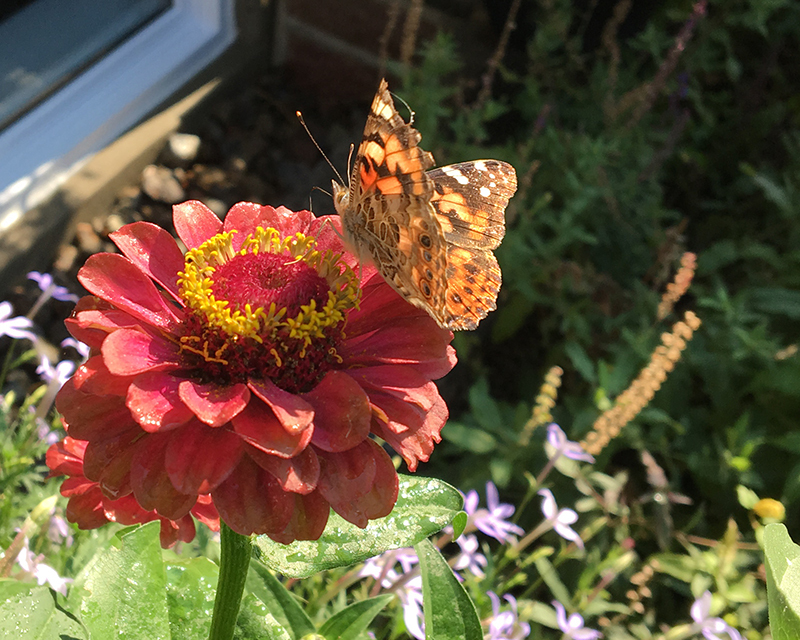 If you follow me on Instagram, you may have seen my video of a very happy painted lady butterfly flitting about on my zinnias. And what do you do when blessed by such beautiful garden visitors? Why you paint one of course! I found one on the ground (poor thing) and was able to bring it into my studio to use as my model. 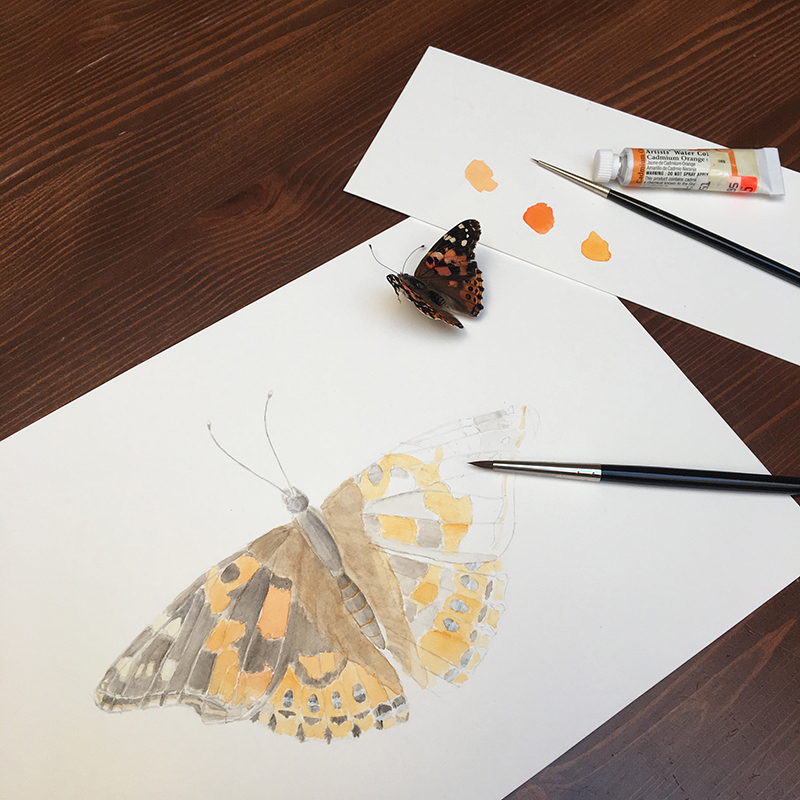 Here is my watercolor painting in its early stages and, underneath, in its final form. 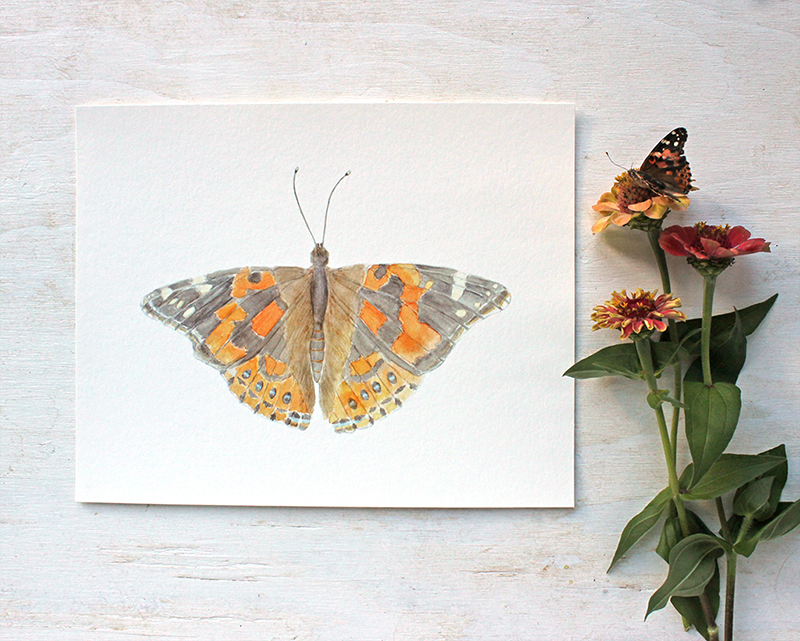 When you look at a painted lady butterfly, the markings look kind of random and splotchy. It was only through close observation that I realized how intricate some of the markings were. In my painting, I tried to honour the details while still keeping a painterly feeling. 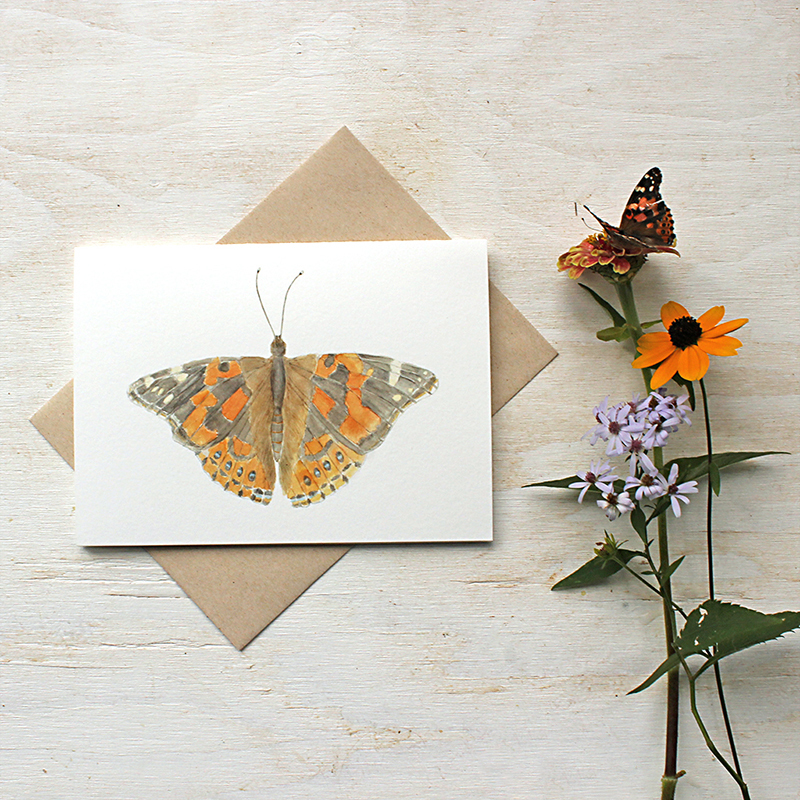 I love how it turned out and now have both prints and note cards available in my shop. I really hope you like them!